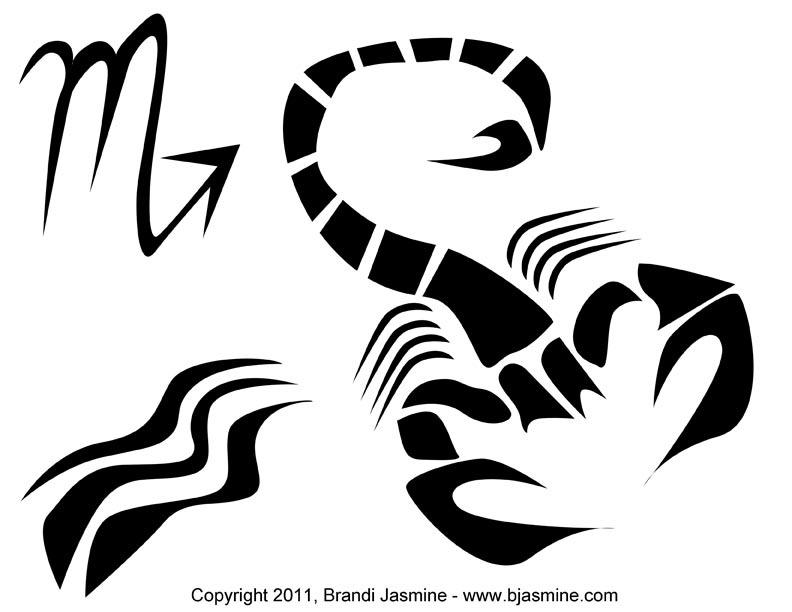 Right-click on the Scorpio pumpkin carving pattern, and select “Save Picture As” to download the pumpkin carving pattern to your computer. Open the pumpkin carving pattern in your graphics viewer program and print. Next, cut out the black sections of the pattern with an x-acto knife. Put the resulting template on your pumpkin, and you can trace through the openings with a felt pen to put the pumpkin carving pattern on your Jack-o-Lantern.